By Matthew Rhome, Business Development, Fabric Imaging, Epson America Inc. While the following speaks to DTG, many of these factors are important to consider when purchasing any type of manufactured equipment. Does the manufacturer of the machine you're leaning toward make the product they sell? Printheads and ink are the basic and most important parts of a DTG printer. But some of the machines on the market have these components from another source, most commonly a desktop paper printer. A manufacturer making its own printheads and ink ensures that you as a customer will be able to receive replacement parts, if needed, and a continual supply of ink. Buying a printer from a company that does not make its own component parts means you are taking a risk on whether the original manufacturer continues the supply chain. Many of these machines using third-party parts are not built with the authorization or approval from the original manufacturer. Most large DTG manufacturers sell their product through a network of dealers. This ensures there will be sales coverage in most regions of the country. Not all dealers are the same. Some have a great deal of expertise in the DTG process while others do not. Selling DTG printers is unlike most other decoration equipment. More upfront instruction and support is necessary for the end user to be successful. In some cases, because of their range of product focus, a local dealer may not have the expertise to really give you the knowledge that you need to be successful in DTG. The question to ask the dealer you have chosen is not how many printers they have sold, but better yet how many they have installed, and how many customers they have trained. Training is key to being successful. 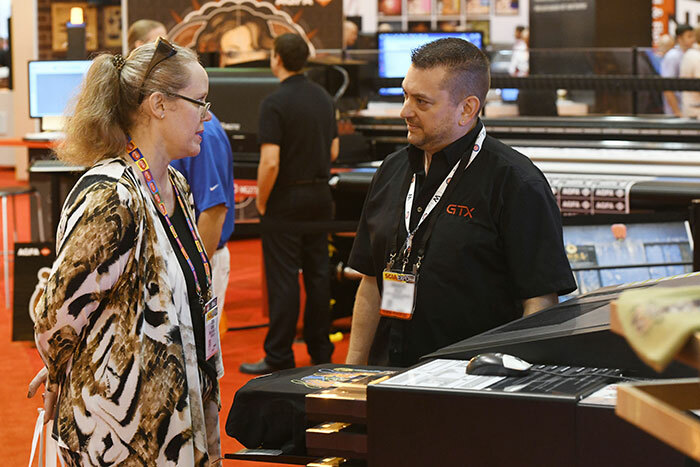 When choosing a printer, make sure the dealer will fully train you in the DTG process. Training should cover maintenance, the pre-treating process and proper preparation of graphics. Ask who will train you and find out how many customers they have trained along with their background in the decorated garment industry. Nothing beats on-site training at your location. This ensures that you know how the DTG equipment works in your situation. Classroom and video training will work, too, but those are better for additional training beyond the basics. During the training process, use your own print files and shirts, as this will give you the most real-world experience. Material safety is very important. This is something most customers don't think about when looking at DTG printers. The fact that a product is water-based does not automatically make it safe, and not every manufacturer's DTG ink and pre-treatment are the same. You need to ensure that the ink and pre-treat solution are safe for both your employees and your customers. All manufacturers should provide a safety data sheet (SDS) on their products when requested. Please read the SDS of any products used in the production process and make sure you understand any limitations or changes you might have to make to your shop's environment or in your work process. Make sure SDS sheets concerning any hazardous products are readily available to your employees. It's the law. Many DTG manufactures use a third-party company to test their inks and pre-treat fluid. The one most prevalent in the industry is Oeko-tex(r). This certification ensures safe levels or no content of certain harmful products in finished goods and tests for certain substances listed in the US Government's Consumer Product Safety Improvement Act (CPSIA). Don't confuse SDS and Oeko-tex. The SDS is provided to inform you about the safety of products, or chemicals, used during the production process. Oeko-tex certifies a product's levels of certain harmful substances usually after the production process. Some DTG manufacturers also test for the wash durability of their printed product. Most use an independent test certified by the American Association of Textile Colorists and Chemists (AATCC). This test takes a printed DTG sample shirt and subjects it to a high-intensity wash. After the wash test, the sample is compared to an unwashed sample and given a ranking between one and five - the higher the rank, the better it held up in the wash. Ask if the DTG printer you are looking at has undergone this wash test and inquire about its ranking. In my opinion, the warranty is the most important thing to know and understand when buying a printer. Many of us never read it until a problem arises. One should read and understand the warranty before buying any equipment. DTG printers are mechanical and electrical machines with many moving parts, and like all machines, could possibly have a breakdown that requires a technician to repair. Is the warranty on-site or return to factory? Having a technician visit your business to repair the machine is always best. Also, does the warranty state how long before the repair will take place? How long are the printhead and other electronics under warranty? They are usually the most expensive parts of the printer and should have the longest warranty. Does the company you are buying from offer an extended warranty or service contract? If so, how long can it be extended? Read all of the fine print, and if the warranty is not clear or certain things are not specified, ask for it in writing. The most controversial subject in DTG is maintenance. Because of the chemical composition of white ink, some type of maintenance is always required. Over the years the required amount of maintenance has been greatly reduced, but not totally eliminated. Not all printers approach the maintenance procedures the same. Ask for the DTG printer's manual and read it. Have the maintenance process - especially its costs - fully explained. If it differs from the manual, ask for further explanation. Many manufacturers have videos available that explain the process and the steps needed to complete your maintenance. When you ask to see a sample print, every self-respecting DTG seller is going to print the very best image file on the most ideal shirt that shows the brightest, most crisp design. But before you buy, have samples printed using your own files. You need to know if your art file needs special treatment or if the printer is capable of producing the colors you need. If you are able to attend a trade show or get a private demo with a DTG equipment dealer, this is best. If not, a live video session also works well. The main priority is your need to see how many, if any, changes are needed to make sure your file prints correctly. 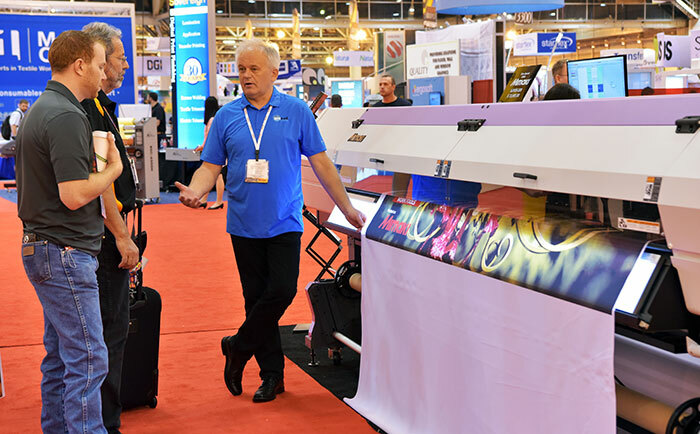 A qualified DTG dealer should be able to help you not only produce a perfect print, but also produce the perfect art file for DTG production as well. There are many more questions to ask, but this captures some of the essential things you need to know. Once you have done your research and have the answers, this knowledge should make your buying choice much easier. Matthew Rhome is the founder of the direct-to-garment industry and the inventor of the world's first commercially available direct-to-garment printer. He was awarded US Patent 6,095,628 on DTG printer technology in August 2000. Matthew currently works for Epson America in DTG Business Development. This article appeared in the SGIA Journal, September / October 2018 edition and is reprinted with permission. Copyright 2019 Specialty Graphic Imaging Association (www.sgia.org). All Rights Reserved.